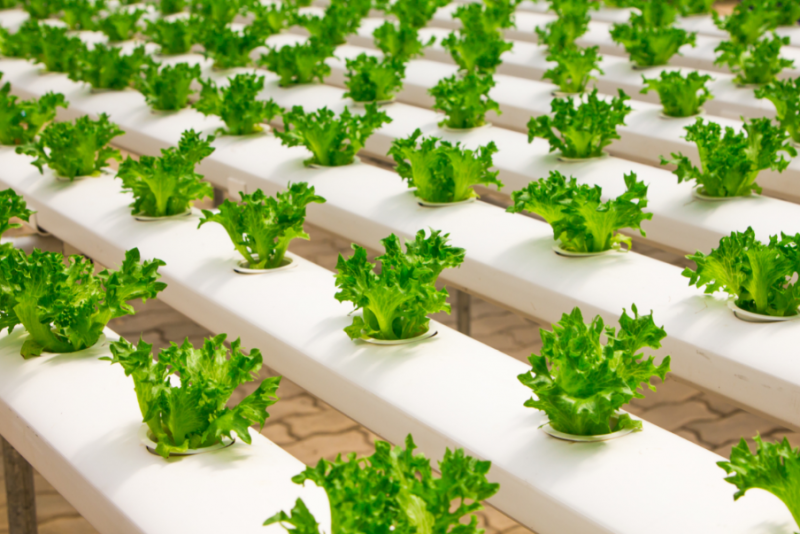 Drones hovering above fields, blades of water cutting through lettuce and robots weeding with impressive accuracy are just a few innovations you might see on a trip to the great farms of the Salinas Valley. In total, the region boasts an $8 billion agriculture industry, so it is no surprise Salinas companies are at the forefront of agricultural innovation. Below are just a few of the major Salinas companies using and developing these modern technologies. More recently, Tanimura & Antle was one of the first adopters of an automated weeding machine that uses vision engineering and mechanical knives to weed and clean fields. The automated weeder is mounted on the back of a standard tractor and uses halogen lamps, infrared cameras, and high-powered computers to identify invasive weeds and ultimately makes decisions on what weeds to kill and what crops to save. Taylor Farms – North America’s largest producer of salads and healthy fresh foods – is another Salinas company pushing the envelope in agtech innovation. In both the facility operations sphere and field harvesting, the company is using various technologies to increase efficiency and provide a more desirable work environment for employees. 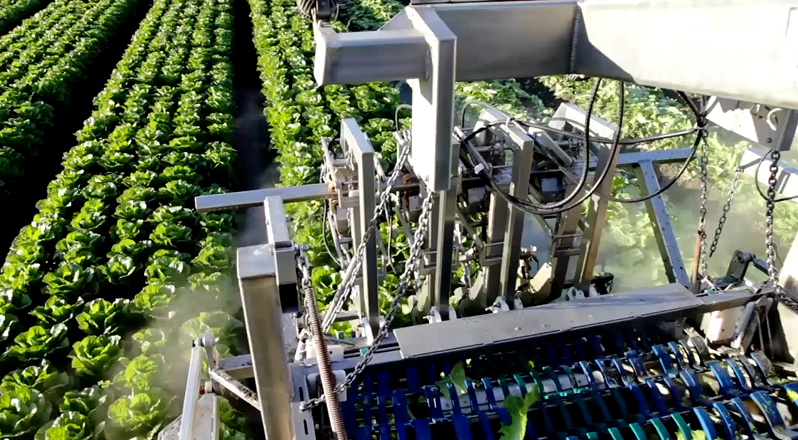 In the fields, Taylor Farms implemented their famous Automated Romaine Harvester, which utilizes water jet knife technology to cut romaine lettuce, as well as automated harvesting machines for celery, cabbage and baby leaf. These technologies have significantly increased harvest efficiency, doubling output from 400 pounds per hour to 700-800 pounds. Within the processing facility, the company has focused automation efforts around case packing and palletizing. The adoption of new technology has created an improved ergonomic environment for employees, specifically at the field level, where automated harvesting machines allow employees to sit and work in upright positions, as opposed to the traditional, bent over hand harvesting. Taylor Farms has also partnered with Soft Robotics – a robotics startup that has created a patented rubber gripper capable of handling and packaging delicate products. 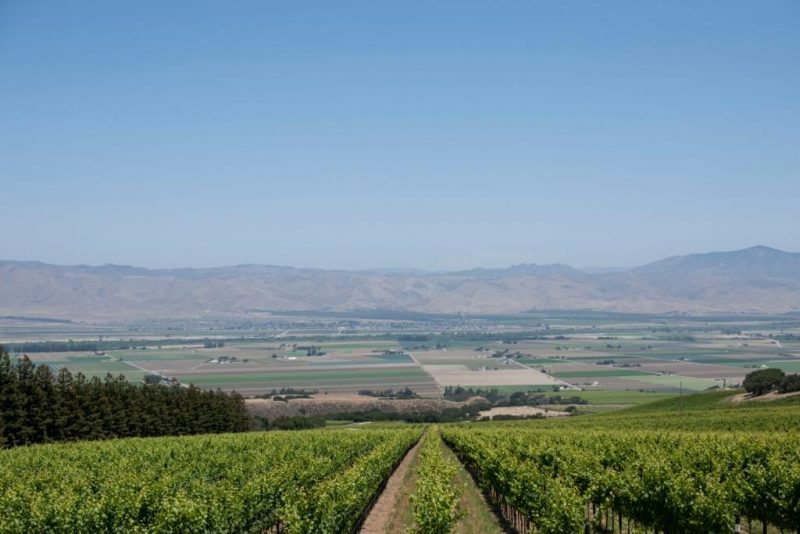 In 2015, Hahn Family Wines worked on advancing their agtech capabilities. The company is using smart field sensors, drones and a weather station to monitor vine health, sun exposure and irrigation leaks. This technology brought a newfound efficiency to the family vineyard through the implementation of these technologies that harness IoT. This technology is helping the company make better business decisions based on soil conditions, weather and aggregated data reports. Between the development of robotics, IoT technology, and improved planting processes, it’s clear that Salinas companies are serious about modernizing agriculture. With one in five jobs related to agriculture in Monterey County, they are working hard to ensure employees and technology function alongside one another. To learn more about the major agriculture companies in Salinas, visit our Featured Employers webpage.